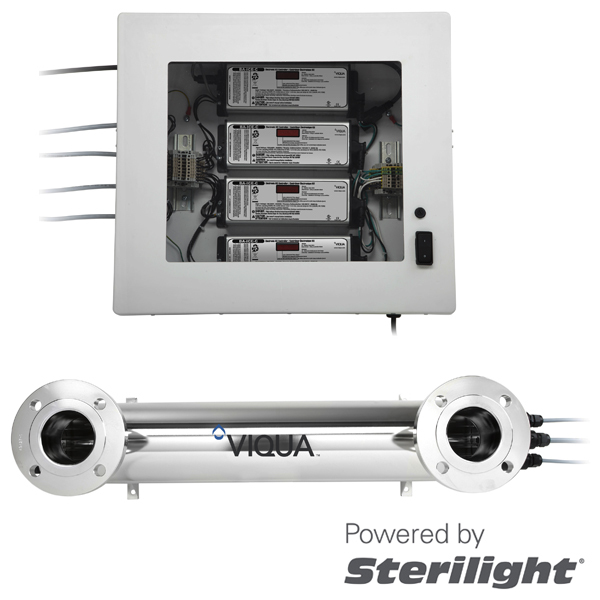 VIQUA Professional Series Commercial UV Systems | Applied Membranes Inc.
AMI offers VIQUA Sterilight and VIQUA UV Max Professional and Professional Plus Series commercial ultraviolet water treatment systems in flow rates ranging from 22 to 183 GPM for use in a wide range of applications to safeguard drinking water using Viqua Sterilight proven and trusted technology. 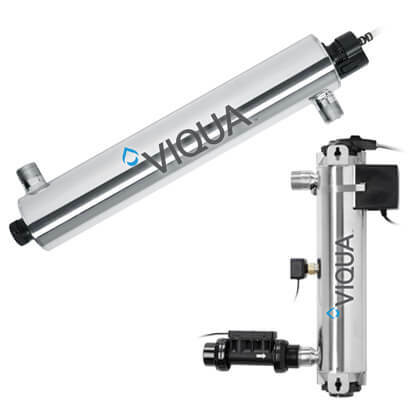 The PROFESSIONAL family of compact UV disinfection systems provide a reliable, economical, and chemical-free way to safeguard drinking water in any residential or light commercial application. 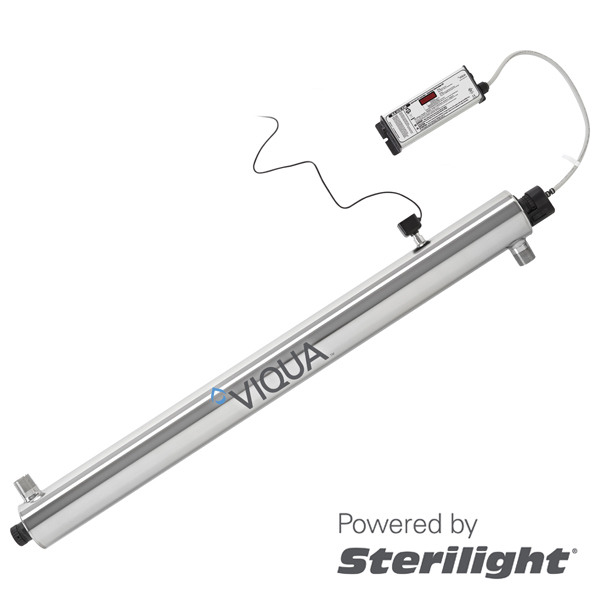 VIQUA’s products have been designed and tested to ensure quality drinking water is at everyone’s finger tips. 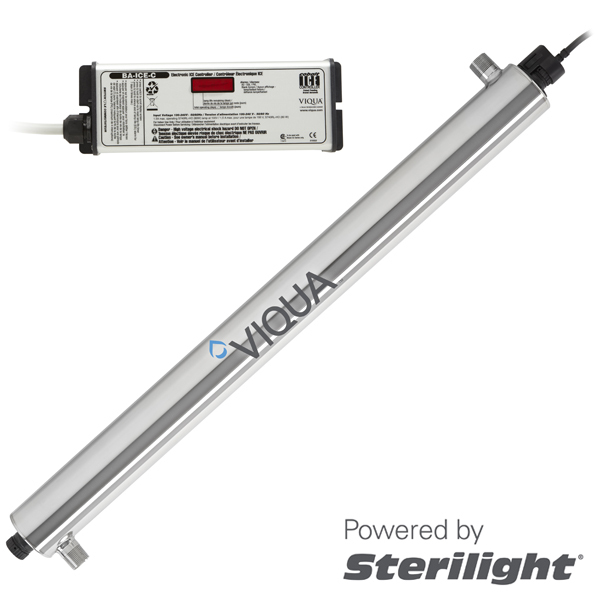 VIQUA Professional Plus series include a UV sensor to monitor the UV intensity, for increased assurance of water sterilization at all times. 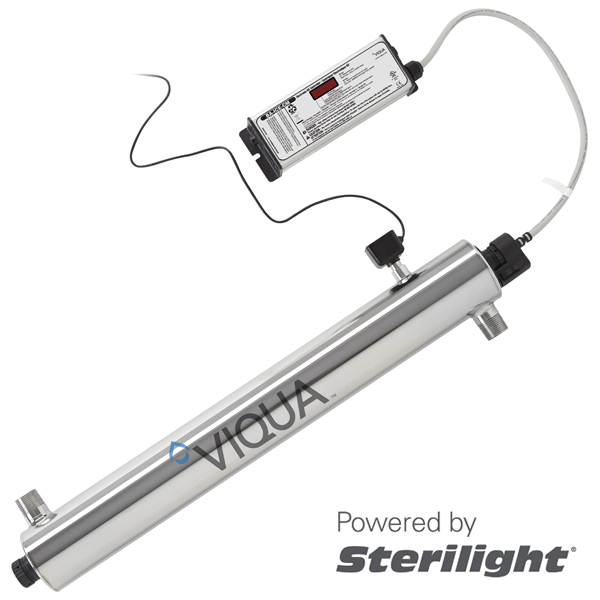 *Recommended flow is set by the manufacturer's standard and is based on 30mj/cm² UV dose in 95% UVT water. Additional standards: 40 mJ/cm² = NSF/EPA Std. 16 mJ/cm² = US Public Health Std. 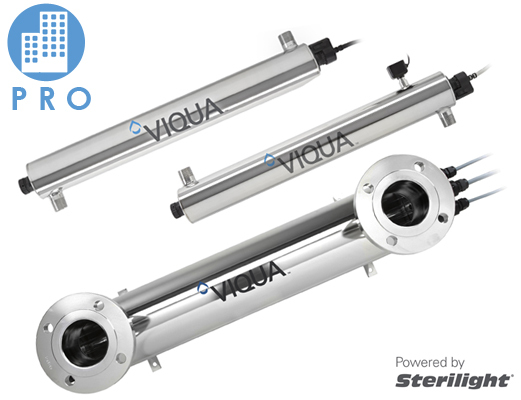 Superior quality stainless steel chamber. Visual display of lamp life remaining and audible/visual lamp change reminder. 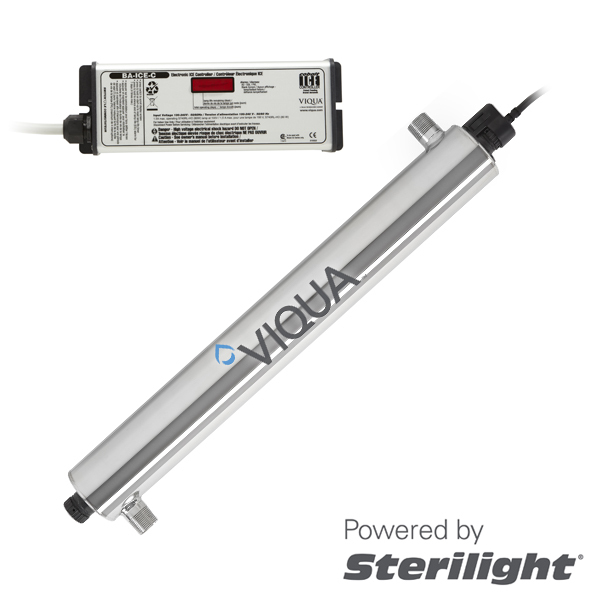 UV Sensor for continuous monitoring & feedback of UV disinfection performance. 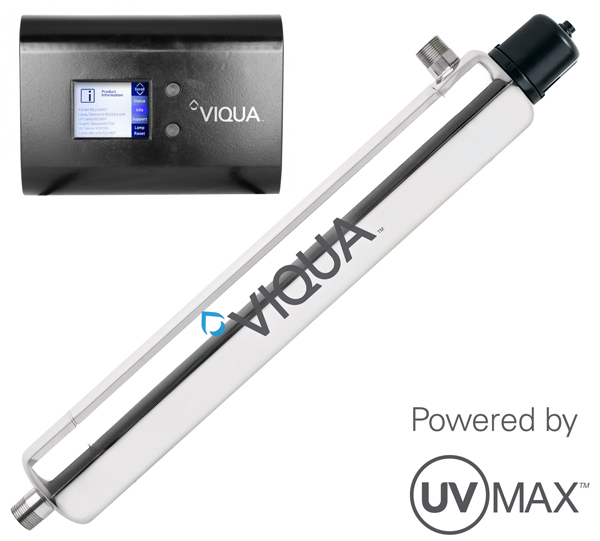 Viqua UV Max's LCD controller features a large backlit display for easy reading, simultaneously displaying lamp life remaining, UV Intensity Status (Plus series only), support contact information, and lamp replacement reminder that indicates when the lamp needs to be replaced, ensuring continued water safety. The intuitive, user-friendly menu allows you to quickly find the replacement parts needed for the system by using the replacement parts menu, as well as quick reference instructions on board for system troubleshooting. Easily find the replacement parts by using our onboard replacement parts menu. Indicator lights show the status of system components and warning lights appear when system maintenance is required.